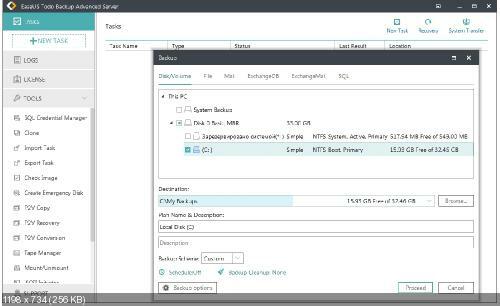 EaseUS Todo Backup Advanced Server 12.0.0.0 Build 20181218 » Шумак Инфо - Есть всё. Фильмы. Сериалы. Программы, софт, музыка и книги. • Directly back up to OneDrive Business and Dropbox Business. • Check backup image’s quality immediately after back up. • Improved license management – control licenses more flexibly.